For EVERY walk of LIFE! Our Walk What Is Light The Night? The Leukemia & Lymphoma Society’s Light The Night Walk funds treatments that are saving the lives of cancer patients today. Friends, families and co-workers form fundraising teams, and millions of consumers help by donating at retail outlets. These efforts culminate in inspirational, memorable evening walks in nearly two hundred communities each fall across North America. Light The Night is also a wonderful opportunity for company teams to enhance employee morale, encourage teamwork, gain visibility, and generate goodwill within your community. Participants of all ages are welcome. 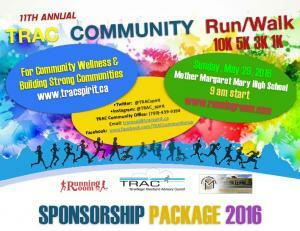 The walks are fun, family friendly events, with music, refreshments, and entertainment. Be a Champion for Cures! Every walker who raises $100 or more* will be a Champion For Cures and will be recognized on the night of the Walk with: A Light The Night t-shirt An illuminated Light The Night balloon in red (supporters), white (survivors), or gold (in memory of a loved one) A gourmet food truck voucher *All patients and survivors will receive these items regardless of fundraising level. Form a Walk Team 4 Easy Steps Register and set up the team page at lightthenight.org/los Assemble your core team Identify Team Captain(s) Set a Goal! Get out there on Light The Night day! Consider team t-shirts or other ways to celebrate all you’ve done to cure cancer! Have Fun! A Champions For Cures walker raises $100 or more and will be recognized on the night of the Walk with a signature illuminated balloon, commemorative Light The Night t-shirt and a voucher for food at one of our gourmet food trucks. Raise $1,000 or more and become a member of our Bright Lights Club! Bright Light Club members will receive special recognition and exclusive gifts in honor of your extraordinary efforts in the fight against blood cancers. ____ Number of walkers X $250 (average personal fundraising efforts) Include neighbors, co-workers, family, friends, employees. Letter/email-writing campaign The best way to raise money is to send an email message or letter to everyone you know. See “40 Contacts in 4 minutes” for more ideas. Matching gifts Ask your team members if their companies have matching-gifts programs. Visit matchinggifts.com/lls. 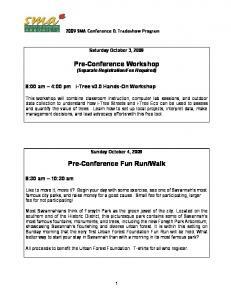 Team fundraising events/activities Create some FUNdraising activities to create excitement and raise funds. See “Fundraising Ideas” for tips and ideas. Need help planning? The LLS staff is here to support you! Call or email your Campaign Manager to set up a planning meeting. Fundraising Ideas Start simple Customize your personal and team fundraising Web pages. Then email at least 25 people explaining why you participate. 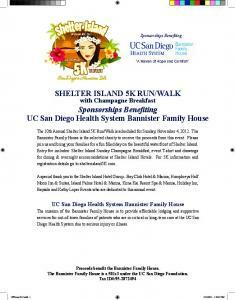 Ask if they will sponsor you or join your Walk team and raise money. Don’t forget to send at least one reminder e-mail. Lead by example. Be the first to contribute to your own fundraising page. Break it down. Sponsor yourself for $30. Ask three family members to sponsor you for $15 each. Ask five friends to sponsor you for $10 each. Ask five co-workers for $20 each. Ask five neighbors for $10 each. Ask three business you frequent for $25 each. Congratulations! You just raised $350 in one week! Write a letter about why you are walking and mail it out. Remember: The bigger your mailing list, the more money you’ll raise! Get online. Once a week, share your fundraising link on all of your social networking sites (LinkedIn, Facebook, Twitter, etc.) Continue to update your friends and followers on how close you are to your fundraising goal! Create an email signature. Insert a hyperlink to your fundraising page in your email signature. Explain that you are participating in the Light The Night Walk for LLS, and encourage your contacts to visit your webpage and donate! Organize a FUNdraiser Host a kickoff event at your company to get your teammates and colleagues excited to fundraise. Add at least one fundraising element to the event—try a raffle! Host a Tournament (Golf, Dodgeball, Tennis, Bowling, Kickball). Suggest a minimum donation to enter, encourage teams to raise funds, and offer a prize to the top fundraising team as well as the winning team. Host a BBQ. Make sure to include a “tip” jar near the grill or drink table asking for donations to your team. Organize a game night/poker night. Suggest a minimum donation to enter and/or a donation to compete in each game. Celebrate! It’s Walk week! Host a party to celebrate the upcoming Light The Night Walk. Charge a cover fee at the door. Make sure all guests know that donations go to LLS. Team up with businesses Look into matching-grant programs. Wal-Mart and Sam’s Club offer them, so stop in and ask for an application. Extra change. See if you can put an extra change jar next to the cash register of a cafeteria or restaurant. Be sure to note that donations will go to LLS's mission. Happy hour/Give Back Night. Ask a restaurant/bar to donate 25% of their profits for a lunch/dinner/happy hour to help you fundraise for Light The Night. Promote it to everyone you know! Ask for a donation of a product or gift certificate and do a raffle or silent/online auction. Ask a retailer to sell paper balloons. They will ask customers for a $1 donation and help raise money for your team! For more tips, tools, and ideas, contact your Campaign Manager or visit lightthenight.org/los/localchapter/tools. See reverse side for more fundraising ideas! Be creative at work Matching Gifts/Matching Grant Programs. Ask if your company has a matching gifts program. Our Jeans Help Your Genes (Casual Day). For a donation of $5, employees dress casual on a designated day. Or sell a year’s worth of Jeans Day privileges for $100, one month for $25. Employee Giving. Employees designate a specific dollar amount to be deducted from their paychecks. It can be a one-time gift or on a quarterly or monthly basis. Vacation Day Drawing. For a donation of $10-$20, employees can enter for a chance to win a day off. Food/Beverage Sales. Get goodies donated (baked goods, donuts, bagels, breakfast burritos, popcorn, hot dogs, pizza, ice cream, smoothies, etc.) Then sell them in your break room. Penny Wars. Have departments compete to raise the most by placing jars in a common area. “Corner Office” Raffle. Ask an executive to raffle off their office and parking spot for a certain period of time. Host a Brown-Bag Day at work. Have employees/co-workers bring a brown-bag lunch and donate the cost of what they would have spent at the cafeteria or restaurant to your Walk team. You can provide drinks, dessert and/or music to make it a fun atmosphere. Be resourceful Garage/Ebay Sale. Ask your friends/family/neighbors to donate their unwanted items to be used for the sale. Display Light The Night signs to make sure donors know the proceeds go to your Light The Night team. Special Skills: Speak Spanish? Know how to fix computers? Can you teach tennis? Offer your services for a donation (tutoring, coaching, cleaning, accounting, whatever!) Create an online auction if you have a connection to a celebrity or an awesome experience! LLS can manage the auction through CharityBuzz.com. Get support Connect with the most organized person in your life. Ask for his/her support to keep you on track for your fundraising efforts. Do they want to join you as a co-captain? Reach out to Light The Night Staff. Schedule a fundraising consultation or team planning meeting with your Light The Night Campaign Manager. Use Light The Night resources. For more tips, tools, and ideas, visit lightthenight.org/los/localchapter/tools. For more tips, tools, and ideas, contact your Campaign Manager or visit lightthenight.org/los/localchapter/tools. See reverse side for more fundraising ideas! Investing in a Cure The Leukemia & Lymphoma Society Mission: The mission of The Leukemia & Lymphoma Society is to cure leukemia, lymphoma, Hodgkin’s disease and myeloma, and improve the quality of life of patients and their families. LLS is the world's largest voluntary health agency dedicated to blood cancer. LLS funds lifesaving blood cancer research around the world and provides free information and support services. Research Since its founding in 1949, LLS has invested more than $875 million in leukemia, lymphoma and myeloma research. LLS-funded research has led to key advances in understanding blood cancers and the lifesaving drugs to fight them. LLS’s grants program currently supports more than 400 grants in U.S., Canada, and ten other countries. In FY 2013, LLS funded 8 researchers in the Greater Los Angeles area. The Facts Every 4 minutes someone is diagnosed with a blood cancer. Every 10 minutes someone dies. Leukemia is the leading cause of cancer death of children and young adults under the age of 20. Patient Services LLS provides a range of services, such as family support groups, an extensive educational web site, free seminars and conferences, direct patient financial aid and co-pay assistance. In FY 2013, LLS provided the following Patient Services in the Greater Los Angeles area: Hosted educational programs for 1,724 patients. Provided financial support to 633 patient aid recipients. Answered 936 inquiries and referrals. Provided professional education for 537 Health Care Professionals. Corporate Walk Teams Businesses and organizations form teams and walk with us each year to raise funds to bring help and hope for people battling cancer. The magical and uplifting setting of Light The Night creates a fun, wholesome event that brings co-workers and their families together outside the office for the purpose of helping others. We provide all the materials and guidelines to ensure your success in building a Light The Night team. Corporate donations are encouraged and will be gratefully acknowledged. The majority of contributions will be generated by the fundraising efforts of your individual team members. National and Local Sponsorships Light The Night offers your company the opportunity to target responsive audiences and build equity with a proven brand as a member of our sponsor family. For more than 14 years, Light The Night Walk events, held nationwide in the fall, have delivered a wide spectrum of dedicated, passionate participants. Sponsors enjoy community visibility such as logo placement in promotional materials, inclusion in press and media efforts, as well as Walk night promotional opportunities (for example: signage, exhibits, and product sampling). The LLS staff can help you identify the right sponsorship level for your goals and budget. Point-of-Purchase Program Point-of-Purchase programs are a great opportunity for companies that have multiple retail locations to show the community that you care and they are also a fun way to partner with your customers to raise valuable funds. There are many types of Retail Partnerships: Paper Balloon Icon– sell our special Light The Night Walk paper balloon icons at registers. Give a Dollar; Save a Dollar Coupon - Customers purchase a coupon and receive a savings for their next visit. Round-up - Suggest to customers that they round up their purchase total to the nearest dollar. Sell Light The Night Items - Customers can purchase items such as plush bears, candy bars, wristbands, etc. Step 1: Sign in to your fundraising page. Visit etools.lightthenight.org/signin. By taking advantage of a company's matching gift program, you can generate an additional gift that can double or triple your contribution. See whether your employer participates in our Matching Gift Program, by visiting matchinggifts.com/lls/. Step 2: Customize your page. Personalize your individual page (all walkers) and your team page (team captains only). Create and manage posts. Set your “Team Goal” and “Personal Goal.” Step 3: Send emails. Import your address book to send emails from the Email Center. Emails will still be sent through your personal email address. Customize the Donation Request template or create a new email. Don’t forget to include the link to your fundraising page. Step 4: Stay updated. Send Thank-You Notes. In the Address Book, clicking “Donors to be thanked” automatically selects those donors who have not yet received a thank-you note. Send Team Invitation messages to those who may be interested in joining your team. Team captains can: Send Team Captain Messages to your entire team. View your team members’ contact information and fundraising progress. 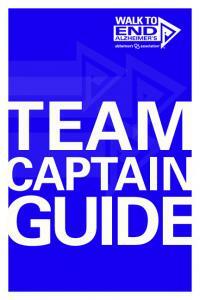 Check out the Team Captain Guide for downloadable reference materials. Download the new My LLS app! 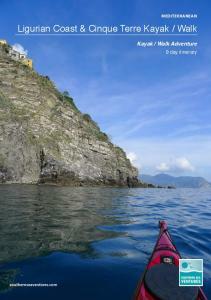 Introducing My LLS-a new, free mobile app for iPhone®, iPad®, iPod touch® and AndroidTM. My LLS makes it easy to keep track of fundraising on the go. With My LLS, you can: Accept credit card and check donations and deposit them directly into your LLS.org account any time, anywhere. Import your social network contacts to help support your efforts. Track and communicate with team members if you're a team captain. 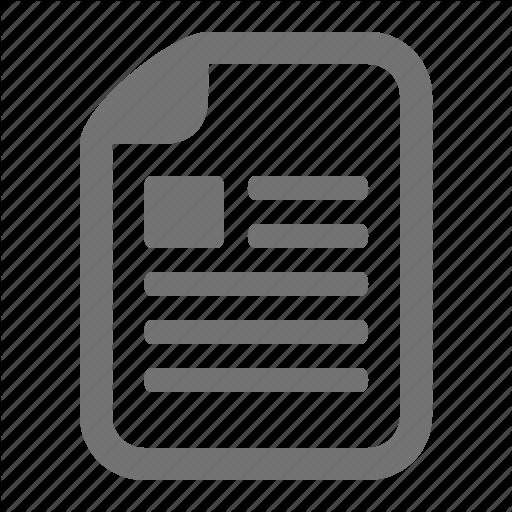 Track and archive goals across events and campaigns. Spread the word about participating on Facebook and Twitter. Download My LLS now at iTunes or Android store. 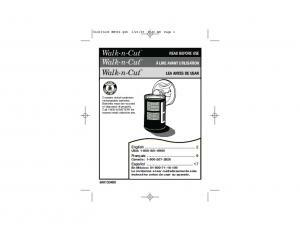 Incentives Check out our new walker incentives to help inspire your fundraising efforts! Prizes are awarded to participants who reach the indicated fundraising levels. Grand Prize: The top fundraiser in the nation will win a necklace or cufflinks generously provided by renowned retailer Michael C. Fina. Receiving your prize: Participants raising $250 or more will receive notification post event with details on selecting one item at or below the level achieved. The exclusive Light The Night recognition items are offered as a thank you for your efforts and you may choose to donate back to The Leukemia & Lymphoma Society at no cost to the organization. Report "Our Walk. What Is Light The Night? Walk Dates. Be a Champion for Cures! Bright Lights Club!"